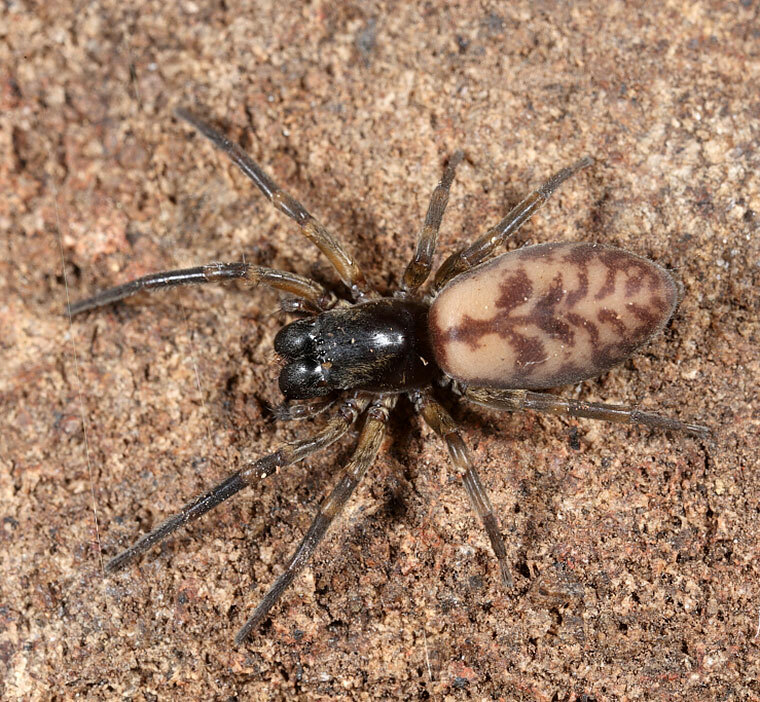 In Australia the Anyphaenidae are represented by Amaurobioides spp., medium to large spiders, body length 4-30mm, found in sea-shore habitats in coastal southern Australia. They build silken retreats in the splash zone of rocky shores and wander over the rock surface at night. They are somewhat similar to Badumna spp. 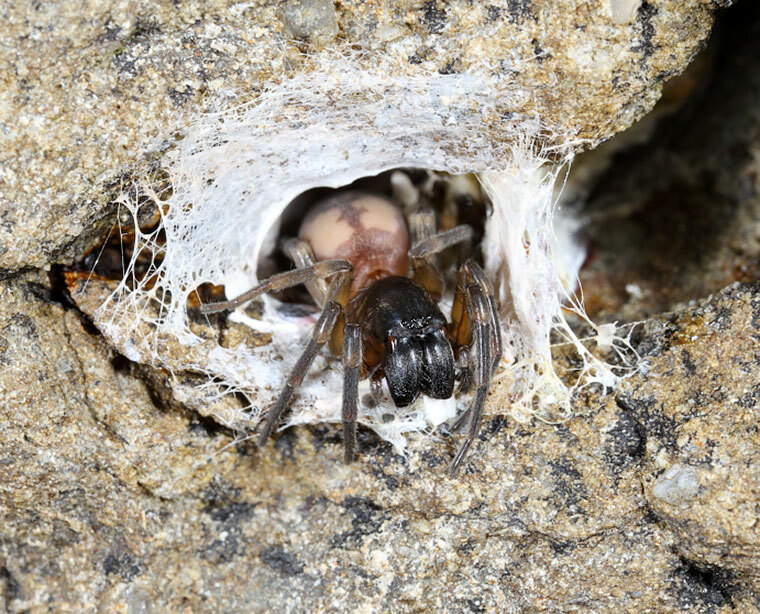 - the black and brown house spiders in the Desidae. Technically, they are defined by having only two claws and the presence of claw tufts as well as a tracheal spiracle in the middle of the underneath of the abdomen. Their Australasian distribution is Victoria, South Australia, Tasmania, New Zealand and Macquarie Island. The cephalothorax is roughly rectangular, with a squarish leading edge. They have two rows of 4 eyes, the back row wider, the front row slightly upcurved, an oval-shaped abdomen and legs I or II longer than the others.